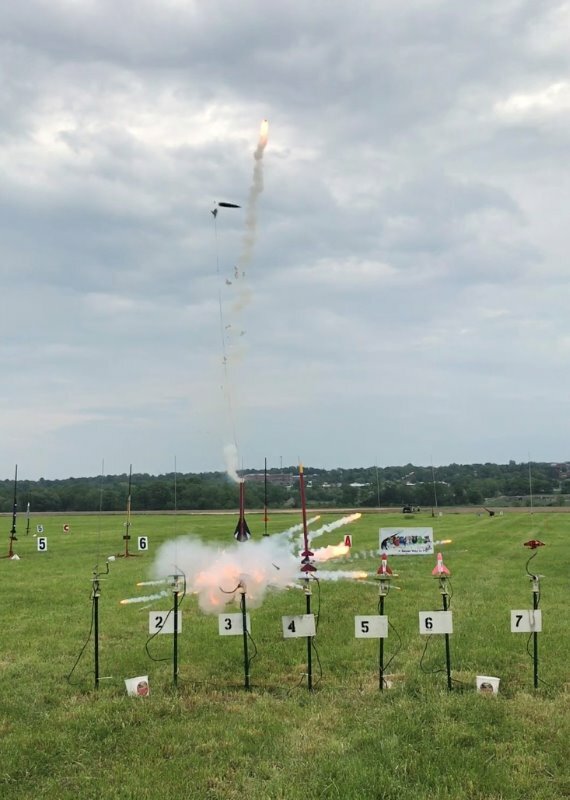 One of my rockets recently had the misfortune of suffering a CATO with an Estes E9-6 motor (at the National Sports Launch in Geneseo, NY this past Memorial Day weekend). 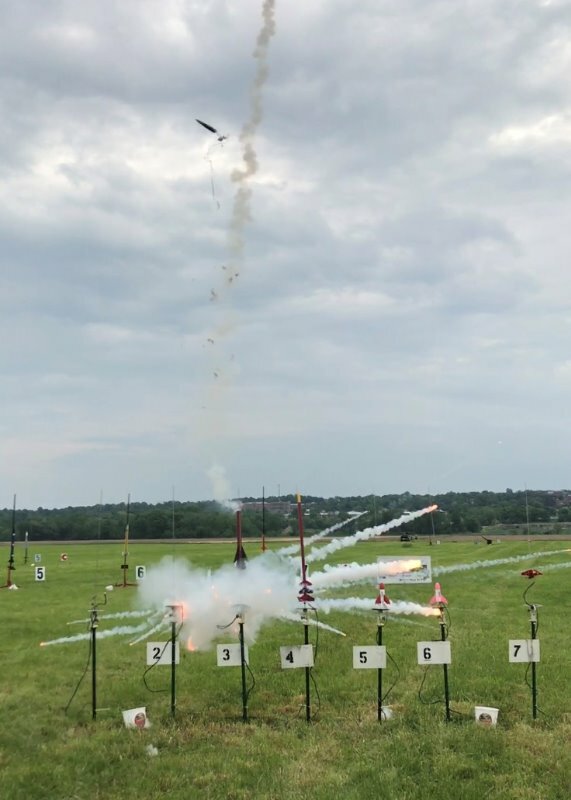 The pictures show the motor igniting normally, and the rocket starting up the launch rod for 6” to 8” before the CATO occurred. 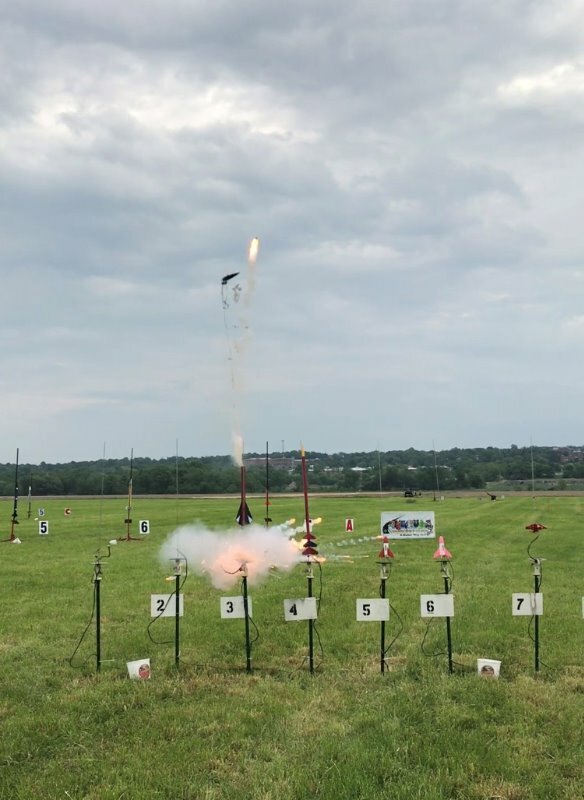 Then the propellant, ejection charge, clay cap, and nozzle were all ejected out the ends of the motor casing and rocket during the CATO. 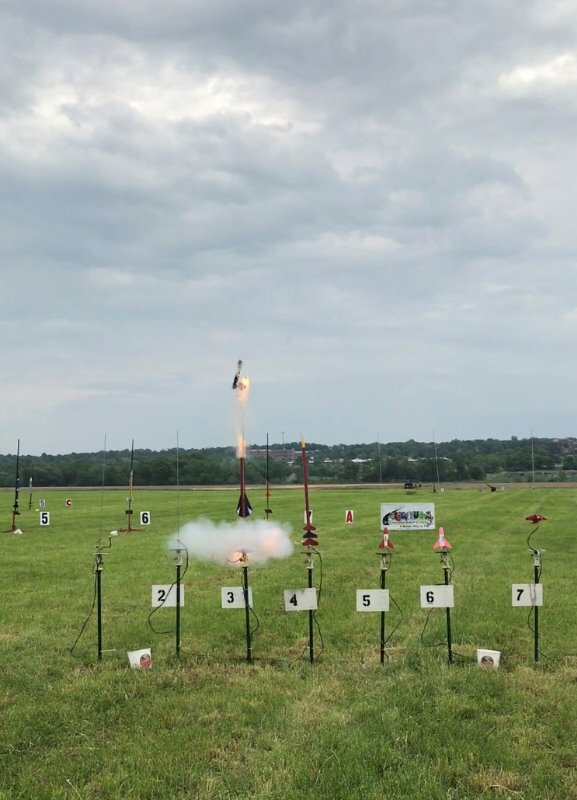 A wad of burning propellant flew upward out of the rocket. The motor casing itself appeared to be intact, with no signs of splits or burn thru. Luckily, no-one was injured during the explosion. 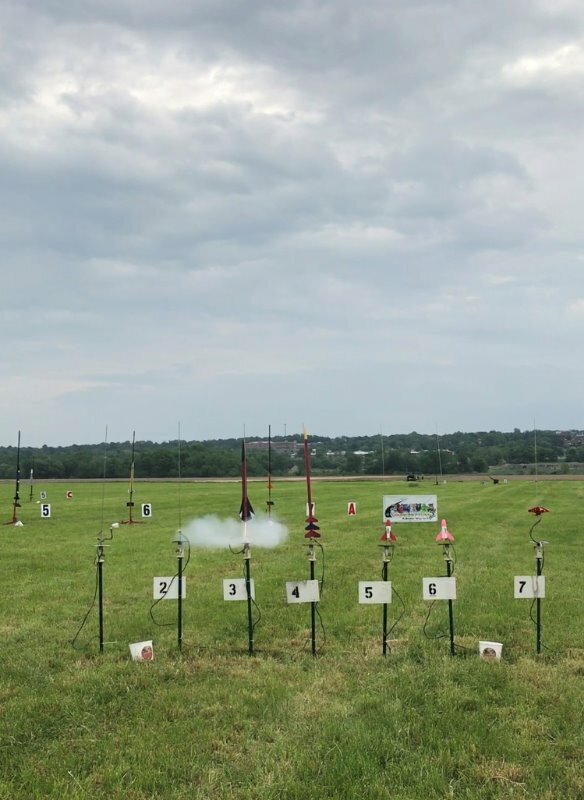 However, my Hi-Flyer XL rocket did suffer some damage. (Engine block and forward portion of the motor mount were blown out. The parachute was also punctured / singed, and the shock cord was singed and broken.) My rocket is currently unflyable, but is repairable using spare parts. Manufacturer Date Code on this E9-6 motor was A 03 11 13. Event happened on an average spring day…Temp was ~75F (not extreme). Care was taken to store the motors in an area free from temperature extremes and moisture/humidity. (Motors were kept indoors in the house inside a box.) I had previously flown another motor from this package without incident, and have 1 unused motor from the same package/batch. Plus 2 more unopened packages of Estes E9-6 and E9-8 motors, which I’m now a little hesitant to use (for obvious reasons). 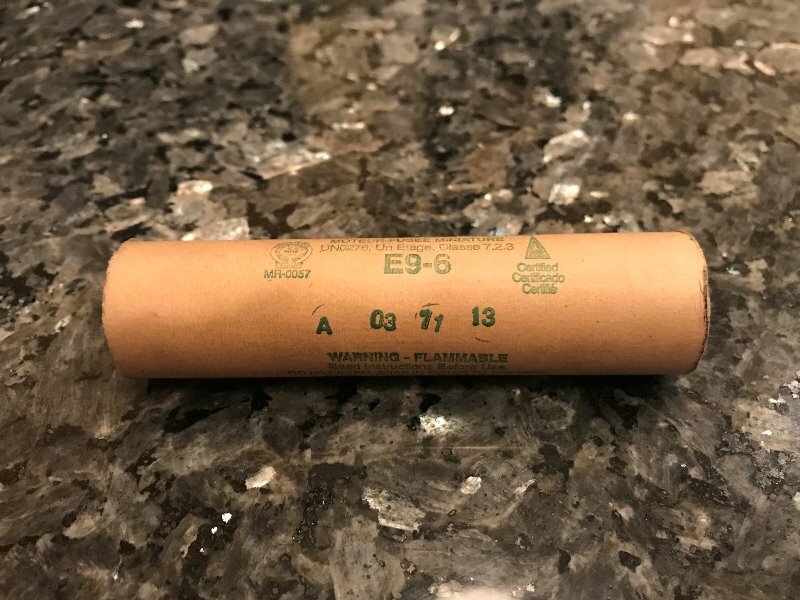 After reading some posts about E9 and E12 CATOs on TRF, I also contacted Estes (called their 1-800 number and followed-up with an email, including descriptions and pictures of the CATO, and the spent motor casing), and they have generously offered to send me a replacement kit and replacement motors…(I asked for 2 D12s instead of a replacement E9). 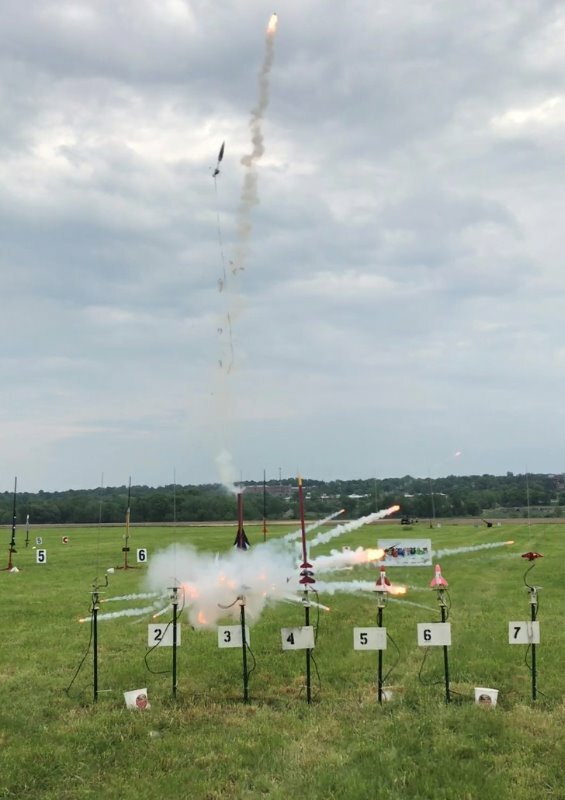 Its good to know that the “new” Estes is continuing to support their legacy products from before the recent sale with excellent customer service. 2)	Leave the motor mount as-is. To keep the motor from moving forward under thrust, wrap a ring of several wraps of tape around the bottom-end of the motor, where it protrudes from the motor tube. Since doing this will also defeat the use of the motor hook as aft retention during ejection, use additional tape to friction fit the motor into the motor tube. This method would allow flights with either 70mm long D12 or 95mm long E motors, with motors in their original positions. But adds some weight to the back-end (the tape). Would need to adjust the nose weight to compensate, as the rocket is already just barely stable with an E-motor. WOULD THIS TAPE RING + FRICTION FIT ON THE MOTOR PASS RSO SAFETY CHECK? 3)	Cut-out the entire current motor tube and centering rings, and glue-in a new motor mount assembly. I’m reluctant to try this extreme repair method, as doing this would likely mess up the fin can-area, which is currently in decent shape, and probably also damage the fins during the motor mount removal process. I’m currently leaning toward 1) or maybe 2). What do you guys think is the best way to go here? I do like option 2. I have two rockets without engine stop in which I wrap some very thin making tape around the engine to form a thrust ring. The tape is very light weight. I have never ripped out a motor mount but if I remember correctly Robert DeHate did on my Executioner many years ago. He used a hemostat to do the job. That's why he is the rocket doctor. About how many tape wraps around the motor are needed to make sure the thrust ring doesn't slide off the back end of the motor under thrust (and motor heat softening the tape adhesive)? Just a couple times around? Or does it end up looking like the tape knob at the handle end of a hockey goalie stick? When you use the tape thrust ring approach, is the ring thin enough that you can still use the motor hook for retention during ejection? Or do you just not rely on the hook / bend it out of the way / remove it, and use a friction fit on the upper part of the motor, or more tape around the motor / motor mount OD for retention under ejection? What do RSO's think about tape thrust rings? Have you ever had a rocket turned-away at safety check for this? Your other comment about the method Robert DeHate used to tear out a motor is intriguing...Now I have to google what a hemostat is, and think about how that might be used to remove a motor mount. Depends on the motor and what field you are flying at. In general, for reloadable (metal casings) we like to see positive retention rather than friction fit (at some fields like the Maine field it is mandatory). Friction fit works really well until it doesn't. For paper casings it is not as much of an issue. I routinely use masking tape thrust rings for paper casing motors. If the masking tape is thin enough (I use 8mm automotive pinstriping type masking tape) it will work when used with most retention schemes other than hooks (Aeropack retainers, Kaplow clips etc). For new builds other than 13mm, 18mm or possibly 24mm minimal diameter models, I would recommend not using hooks, but using some other form of positive motor retention. I never had issues with the RSO concerning tape thrust rings. I have been able to use the standard engine hook along with a tape thrust ring. I use 6 mm masking tape that I got either from AC Supply or Hobby Linc. The instructions for my Sahara kit tells you to use 4 to six wraps. That's about what I use. 6 mm is close to 1/4" which is what the Sahara directions recommend. A hemostat is a device used in the medical field. It has handles like a scissors with a long end like a twissors. I have wrapped tape around the exposed part of the engine and around the engine hook.